For those with the intention to show some amount of flesh on the wedding day, wedding gowns with silhouettes such as strapless, plunging neckline, and off-the-shoulder neckline are highly forbidden in most churches or unless your religion does not demand a church wedding, we suggest you take a cue from Nosen who looked completely covered up but was different in the same dress just a minute she stepped out of the church. 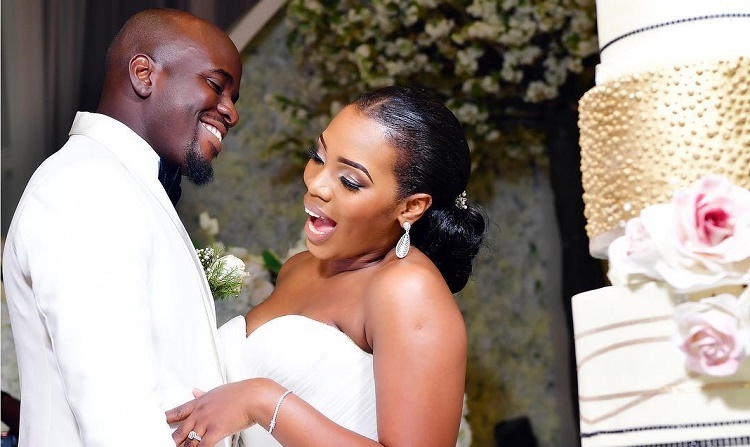 The bride married her sweetheart in an intimate ceremony in Lagos yesterday, wearing a beautiful confection from Spanish bridal label Pronovias. 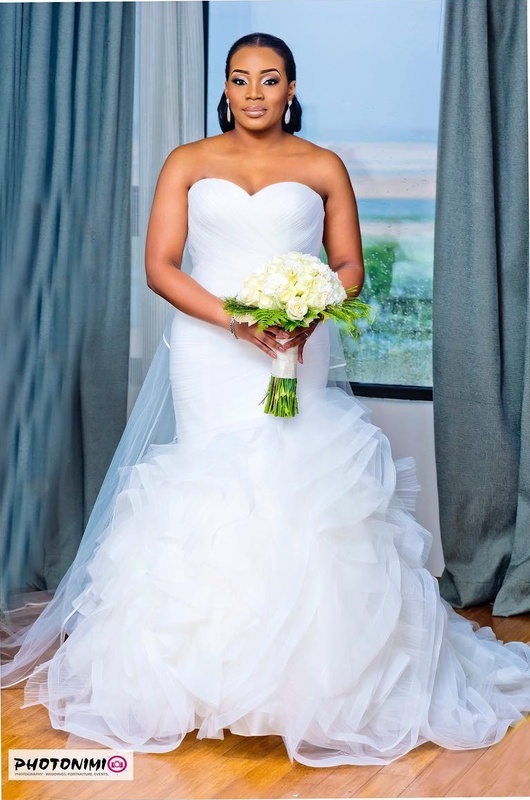 Nosen was the embodiment of her dream wedding, opting for a dress that magically transitioned her with ease to reception-ready. 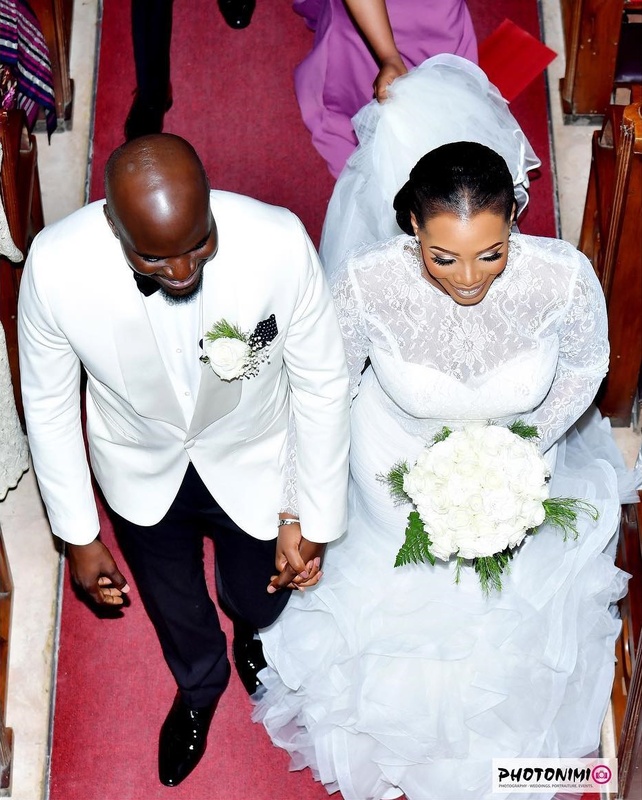 The dress, a strapless creation that perfectly clung to her figure also featured a lace overlay that even her pastor couldn’t decipher her next plan. The most interesting part of the look, however, had to be Nosen’s expertise on accessorizing. She completed the dress with fine silver earrings and dazzling kitten heels. 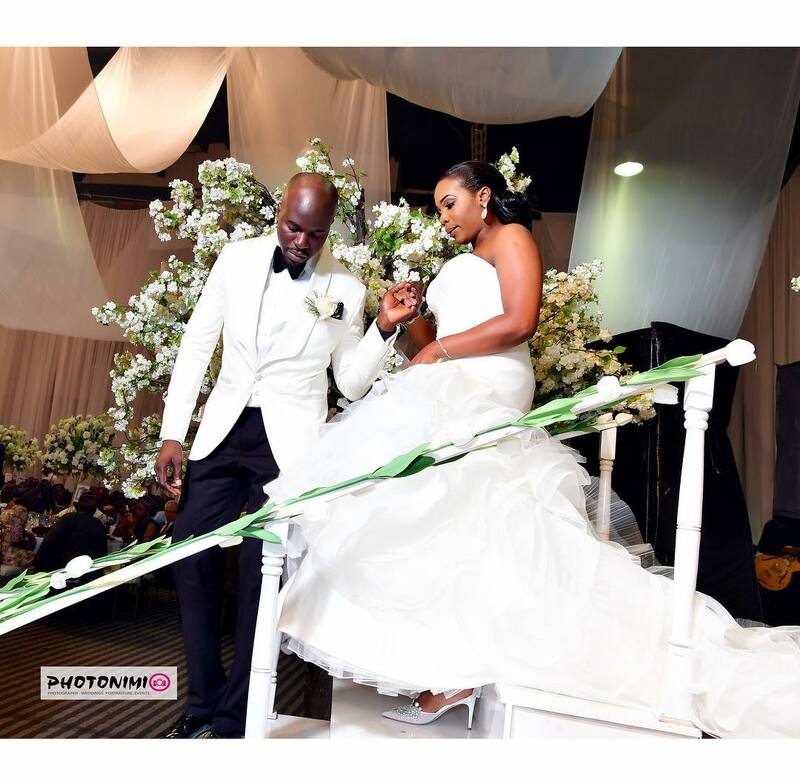 The ensemble felt even more striking when she stood by her husband who wore a white slim fit tuxedo jacket with black pants, To say the least, the bride’s wedding ceremony was simply stunning. keep scrolling to have a glimpse of what we’re talking about.